Published: Dec. 16, 2018 at 04:42 p.m. Published: Nov. 18, 2018 at 04:56 p.m. 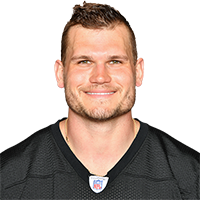 Published: Nov. 8, 2018 at 10:17 p.m.
Pittsburgh Steelers tight end Vance McDonald catches a 12-yard touchdown pass from quarterback Ben Roethlisberger. Published: Sept. 25, 2018 at 12:26 a.m.
Pittsburgh Steelers tight end Vance McDonald stiff arms Tampa Bay Chris Conte to the TURF en route to a 75-yard touchdown in Week 3 of the 2018 season on Monday Night Football.